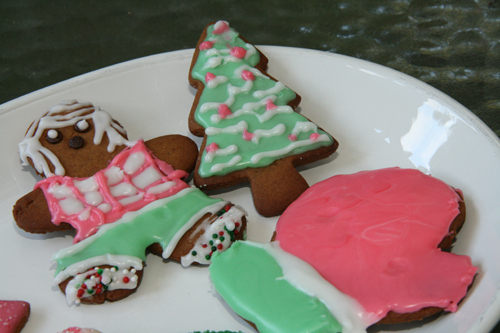 Ho, ho, ho…the holiday spirit has taken over my house as I prepare for my BIG DAY! Sunday is Cookie Delivery Day over here and I have been making TRIPLE BATCHES of most of these cookies you see here. I’ve been making double batches of my All Purpose Flour versions and one batch of my Gluten-Free flour versions so I am certainly a busy little elf. 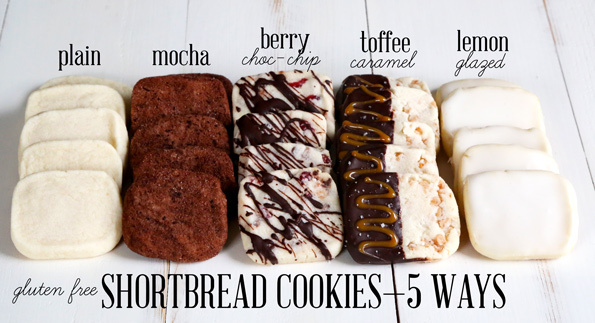 I have provided you with a photo line-up of my cookies, and here is my Cookie Game Plan if you need that as well. 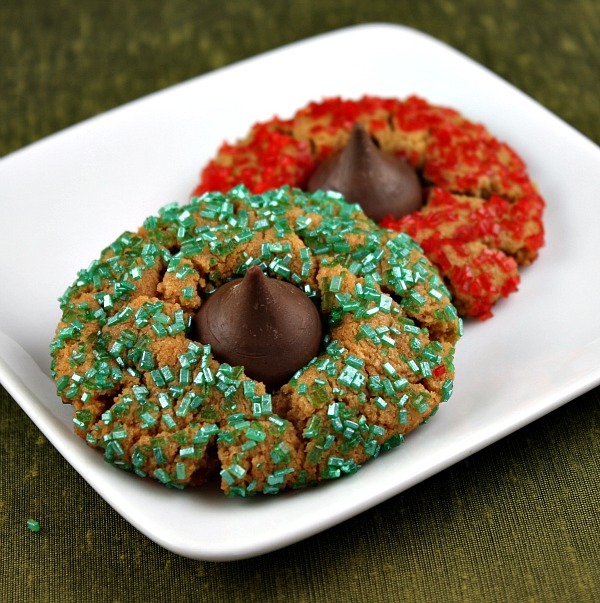 Hope you are feeling rather festive yourself, and if not, just make a batch of one of these cookies, and that may just put you in the mood. 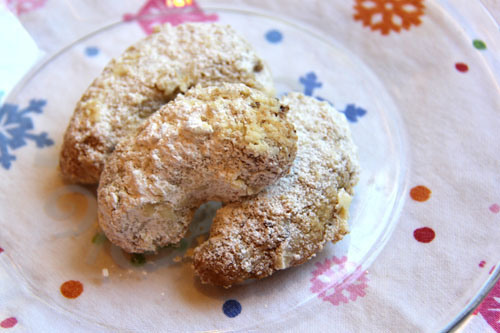 Or melt-in-your-mouth Greek Crescent Cookies which are buttery, rich and the best pairing to a good cup of coffee EVER! 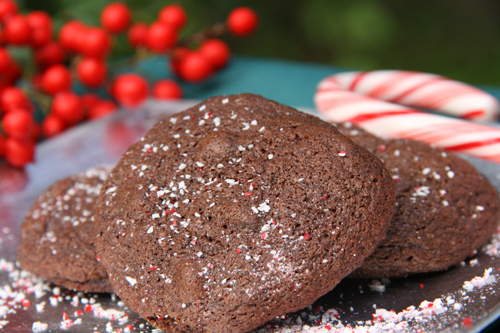 For the chocolate lover in your group, here are my Death By Chocolate Peppermint Cookies. If you are a chocoholic and they don’t rock your holiday world, feel free to file a complaint, get your money back and sue for damages because I am 100% certain they are ALL THAT. 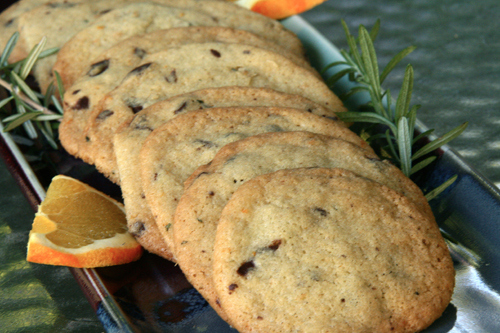 These Orange and Chocolate Chip Cookies with Rosemary may seem odd to you but they are honestly my most requested cookie (by adults!) at the holidays. They are tender, a bit chewy, citrus-y, and a hint of rosemary makes them special (in a good way). Flourless Peanut Butter Blossoms from Recipe Girl. You would never, ever believe these cookies don’t have flour so they are naturally Gluten-Free and are so ridiculously simple to make. They are a hit every year! And the new one that is making it to our Holiday Cookie Baskets are these crazy, crazy delicious Gluten-Free Cranberry White Chocolate Chip Shortbread Cookies from Gluten-Free on a Shoestring. We could not keep our hands of these…nor our mouths for that matter. Let me know if you give any of these a go and please feel free to add a link to your favorite holiday cookie in the comments! Happy Holidays! If you are on my Christmas Cookie box delivery list then lucky you, and if you aren’t, you may want to start sending some bribes my way. I always accept bribes, usually in the form of compliments; I am a total compliment whore. Yeah, that’s right, I said it and my previous PG rating for Sweet and Crumby (S&C for those cool kids in the know) just went down the tubes. Sigh. 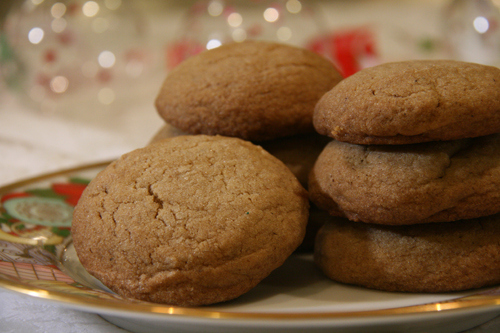 Categories: Christmas, Cookies | Tags: baking Christmas cookies, Christmas cookies, Christmas cookies gift plan, gifts of Christmas cookies, ginger crinkles, gluten-free ginger cookies | Permalink.